Join fellow #healthITchicks community members online and in person at upcoming events. Click through to quickly and easily add events to your personal calendar! 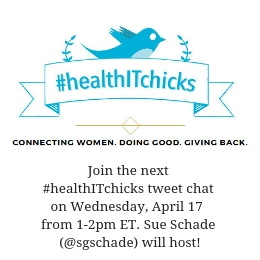 Have an event you’d like to share with the #healthITchicks community?